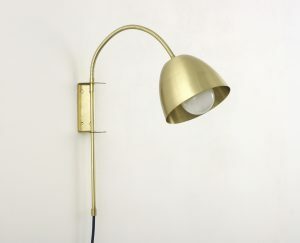 It all started with a healthy brass obsession and a starter home we wanted to make our own. What began with a love for design and a desire to make something special for our home, has turned into a passion for helping others do the same. We curate, source and design the highest quality parts and products to help you create the perfect light for your space. Our shop is full of our favourite designs for you to choose from, most of which are customisable right on the product page. But we also encourage our customers to contact us with their ideas and custom requests. Some of our favourite creations have been collaborations, it’s what makes what we do so special!